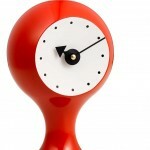 The Cone Clock belongs to the series of desk clocks designed in the 1950s by George Nelson and which are now produced by Vitra. 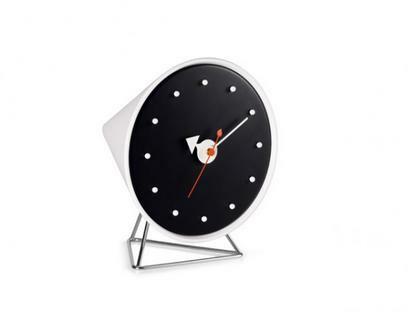 Created in a period when domestic spaces were breaking with the conventions of the past and becoming modern, the Vitra clock belongs to a period when everything was possible, progress everywhere, in short: when the American dream was real and ubiquitous. Against this background George Nelson created a range of everyday objects which should reflect the spirit of the period, should make life and private habitats beautiful. Objects such as the Cone Clock. Supported by a low triangle frame the Nelson Clock is anything but conventional, featuring as it does little more than a reduced clock face and shapely hands. 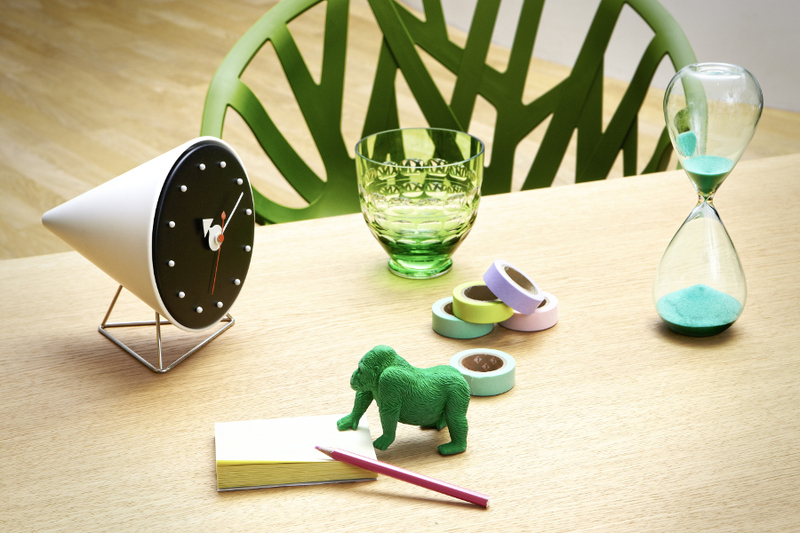 A stylish everyday companion in every household! Care Dust and fluff can be removed with a soft duster. 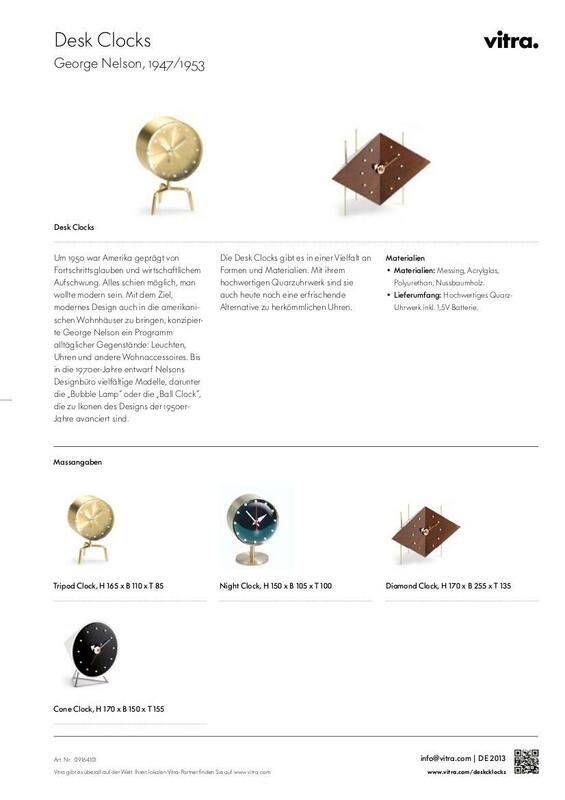 Datasheet Click for more information (ca. 0,2 MB).